Sharing the stories of our amazing alumni is truly an honor. 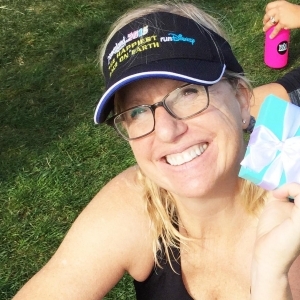 Thank you Nancy from N'Spired Yoga Studio in Rockford, IL, who generously shared her story about how she and her family found their way to YogaFit® and the impact yoga has had on her life. "I feel yoga keeps me young in mind body and spirit." My journey to becoming a Yoga teacher began when I was in my mid fifties. I was practicing yoga at a local fitness facility, when the thought of becoming a teacher began to float around in my head. I felt my age was an inhibiting factor in pursuing such an idea. Through the encouragement of the YogaFit® trained teacher at the facility, I began to entertain the idea. I remember my Level One training vividly. I felt insecure and still too old. Several times during the training, I asked myself why I was doing this. At the end of the training, I cried. I had so many mixed feelings about what I had just accomplished. I was so happy that I stepped out of my comfort zone and stuck it out. Now, how would I go about finding a place to teach. I had been a stay at home Mom for the past thirty years. I was able to complete my community hours through free classes at the facility I was a member of and also taught to a group of runners that I was familiar with. It took four months but I was finally hired at the facility I was a member of. All the same fears of being “good enough” to teach were present, but each class I taught, I began to build on my confidence. I was blessed with caring students and I had my wonderful YogaFit® training to rely on. As they say, the rest is history, here I am, twelve years later, having completed my 200 hours with YogaFit® and owning N’spired Yoga Studio for the past three years. 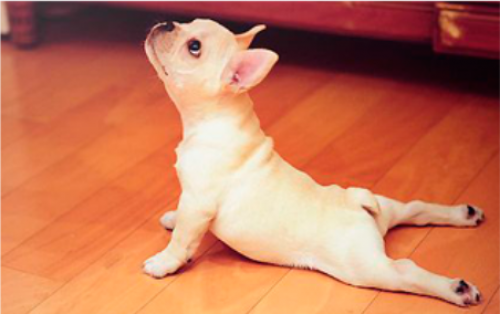 What yoga has done for me is amazing and I am grateful for YogaFit®. 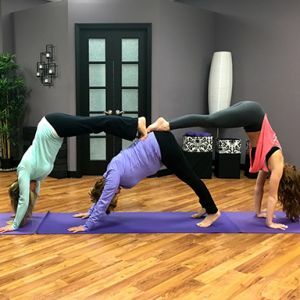 Beth Shaw developed a yoga training program that is affordable and accessible to anyone who truly wants to pursue a career in the world of yoga. The sky is the limit. The trainers are so encouraging and available to help in any way one might need. I am so proud to host YogaFit trainings at my studio. The next chapter involves my family. 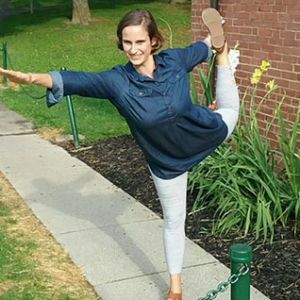 My daughter Sarah was the first one to express an interest in becoming a YogaFit® teacher. She was able to attend Level one at my studio about 2 years ago. Her full time job and raising a family does not leave a lot of time for teaching. She teaches at my studio whenever she can. Last year, her daughter, my granddaughter, became interested in the idea of teaching Kids Yoga. At the time Allison was only 15 so I contacted YogaFit® to find out how old she needed to be to take the training. In November of 2015, she turned 16 and became certified in Level 1 in February of 2016. She completed YogaFit Kids certification this past April. I am so proud of her and her desire to teach yoga to kids. This summer Allison has a job teaching children in Rockford’s beautiful Japanese Garden. The family story does not end there. My husband Doug loves yoga and was attending every class I taught. I suggested he think about becoming at teacher. Like me, he was a bit timid about the idea. In the past two years, he has completed YogaFit's Levels 1 and 2 and is planning on Level 3 in the fall. He teaches a beginner yoga class for men only. His interest is in bringing more men to yoga. Yoga has changed me in so many ways. I can say that I am more confident, relaxed and joyful than I have ever been in my life. I feel yoga keeps me young in mind, body and spirit. My yoga students are beautiful souls and I cherish each and everyone. Sharing yoga with my family and friends is a gift, I am blessed to share.